Here’s a bunch of FAQ’s. If you have a different question, contact us on churchsuite@kingsgatechurch.org.uk with your query. 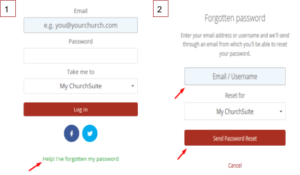 In some cases you may wish to have your personal ChurchSuite account closed – perhaps you’ve left the church and/or moved, or perhaps for any other reason you want to be removed from our church membership database. 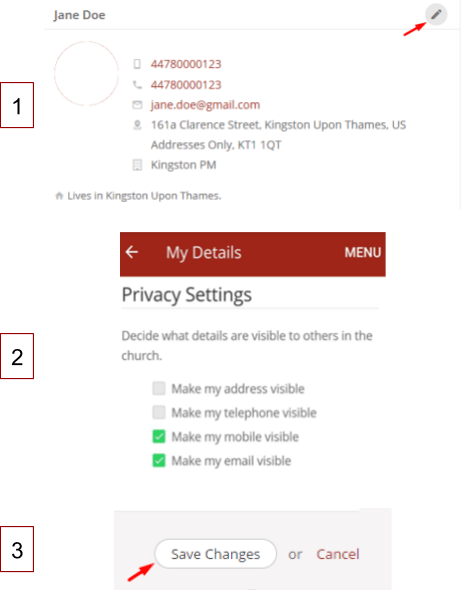 If you would like to cancel your ChurchSuite account please email the Office team who will be able to assist you at office@kingsgatechurch.org.uk. 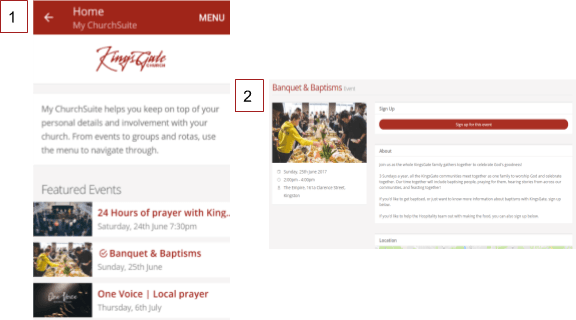 When you log into ChurchSuite you’ll see the next 3 Featured Events. These are the current events going on. Click on an event to see further details and to register, if registration is required. To see all the events, click in the Menu, click on “My Events” and you will see a calendar with all events and meetings coming up. Scroll through the calendar to see future events. 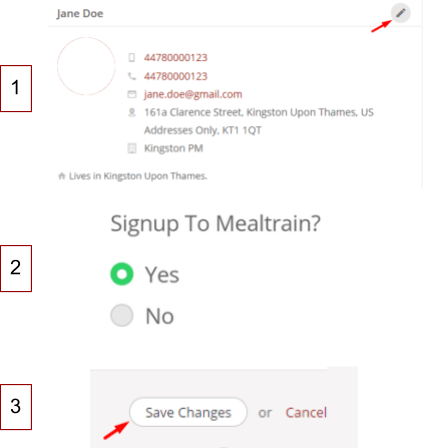 Click here to see more about what Meal Trains are. 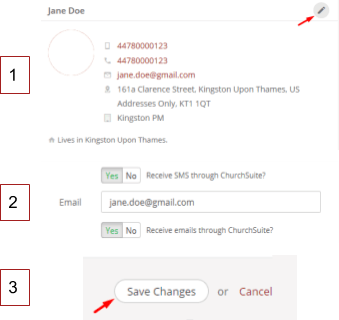 We use ChurchSuite to keep people connected and informed by texting and emailing members. 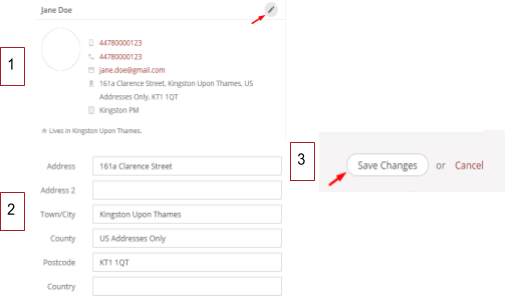 You can manage your own communication preferences. 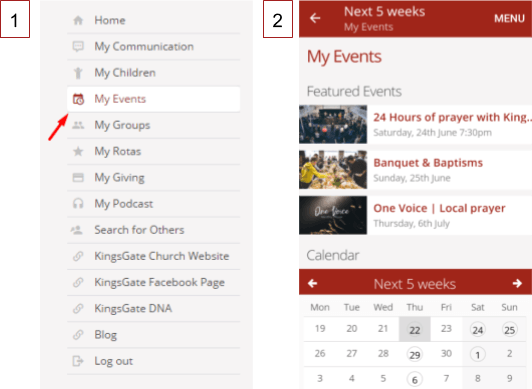 Note: amending your communication preferences will affect all communication sent via ChurchSuite – this includes general KingsGate news, rota reminders, notifications from ministries. Think carefully before changing this! 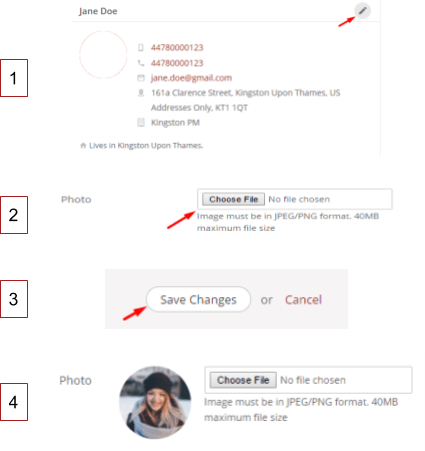 If you are giving to KingsGate and have asked us to claim GiftAid, please make sure your address details are correct and up to date.